Following on from my recent script set-uxfxscountry-ps1, here’s another quick script that uses Vik Jaswal’s great PowerShell module for the Sonus SBC1000 & 2000 gateways. This one queries and displays on-screen the current logging level set in the gateway and lets you change the level of ALL of the components to a new value. I decided I wanted a script to do this as my current Lync deployment project sees me debugging a collection of gateways, and several of them are VERY heavily loaded (with over 10 E1 ISDN channels active). When these are set to Trace, you really notice the performance hit in the UI, so whilst you might leave your average SBC 1000 set to Trace forever and not worry, these busier boxes don’t permit that luxury. So, with a quick PS command I can ramp these to Trace, collect my logs and then drop them safely back to Default or Info. You’re obviously welcome to build upon this. I considered adding a menu and more fine-grained control of logging subsystems and logs, but time got the better of me. 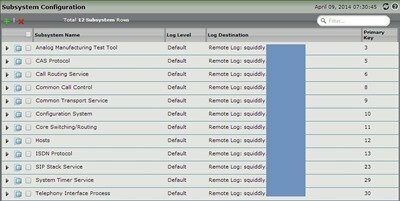 I may revisit this later and add the ability to change the IP of a remote log server to that of your local client’s IP today. The meat of the script is below, or you can Download the whole shebang (including the certificate). This script changes the Log Level of all Subsystems in your Sonus/NET UX/SBC1000 or 2000 gateway. debugging process via the web ui. This script will take ALL of your configured Subsystems and set them to the nominated level. Run with no command-line parameters it will output the current state. (Yes, that probably breaches protocol). With no command-line parameters, it will name the gateway you're connected to and output the current logging configuration. 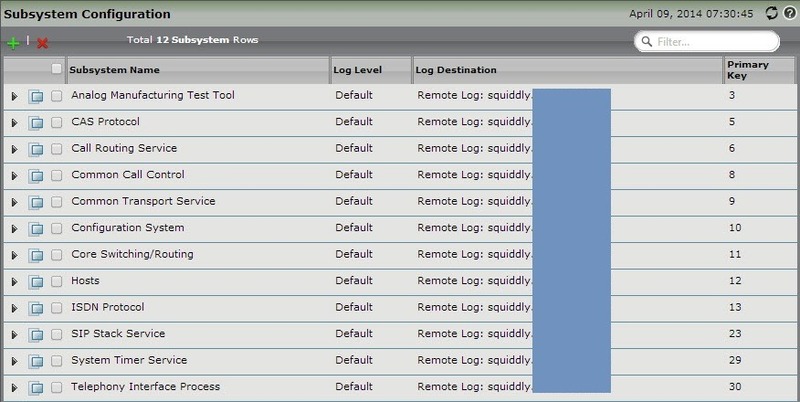 Sets the logging level of all Subsystems across ALL loggers to Trace. Valid values are: Default, Trace, Debug, Info, Warn, Error, Fatal & Off. write-output "We're connected to $($NodeInfo.NodeName).$($NodeInfo.DomainName)"
write-warning "We're not connected to a gateway"
write-warning "No Log destinations were found"
#write-host "List has $($LogDestinations.Count) members"
#write-host "List has $($list.Count) members"
$command = "set-uxresource -resource ""logger/$SubsystemName"" -args ""LogLevel=$($LogLevelLookup.Get_Item($LogLevel))"""
write-warning "Error caught by handler: $($_)"